One of the easiest things as we have always observed is to bring in things into the house. But disposing them of sometimes is very difficult. This may be because of lack of knowledge on how best to do the clearance, lack of space or the disposal location or others. This is the time when you will need the services of office clearance firms. Office furniture clearance companies involve the offering of office clearances to landlords, commercial tenants and managers of facilities. 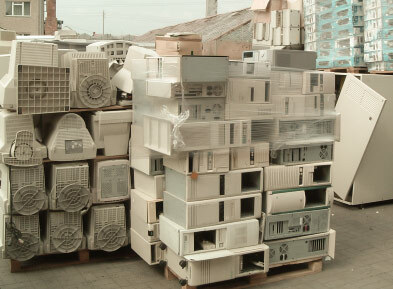 This service can also be offered to estate agents, and it is basically meant for taking away all unwanted office and house equipments and properties, the reuse of these office equipments or the responsible environmental disposal of such. These office equipments that can be removed or cleared by clearance companies include things like your furniture, hazardous materials, excretions, wastes and confidential documents shredding. 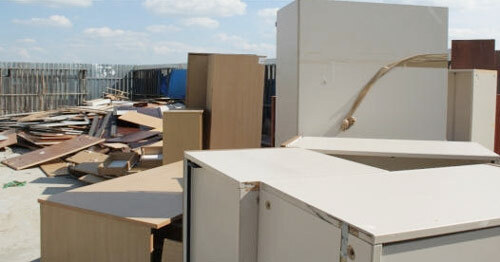 For the purpose of offering you the best of clearance services in London, Bristol, Manchester, Leicester, Sheffield, Leeds, Liverpool and across the UK the furniture clearance companies embarks on the offering of waste reports after the job has been completed. Of course, this is one thing you need to demand from all office moving companies you are going to use for your office clearance services, and this is also among the things that stand us out from all other firms. The waste report will give you information on how and where the wastes were taken care of. There are simple waste transfer notes given electronically to clients with smaller wastes. You will be notified how much the goods that had been taken away have weighed and what was its cubic volume. Usually the office clearance costs are based on the number of crew needed to clear out the office, the number of vehicle use, mileage, the type of the goods and the total weight. But in the case of large waste office clear out projects, more elaborate information is given, which will includes a full waste audit carried out by our move management team that will have the full weight and volume of the wastes that were recycled, those that were reused and those that were sent to the landfill. Here, you will also have the privilege of being given information on the reuse organization or the facilities used for the office furniture recycling. How do we charge for the clearing out your office? The method of charges for the office clearance services may not be a dogmatic or uniformed one. Firms charge according to what they deem fit, though there is a universal and more general way of doing this. Standard rates are charged for all the smaller waste clearance services involving smaller collection of wastes. However, large projects are either charged with a fixed quote or through the open charging system, and this will give you the details of the costs of labour, clearance fees, profit estimate in case of any reuse and cost of the planning and supervision. We will empty your office space as quick as you want. We carry out IT equipment clearances including, computer screens, base units, laptops, mobile phones, servers and other office equipment like lamps, coat hangers, white goods and kitchen equipment. The office specifically should be a place where people focus on their paper works and other logistics, so as to give the best when they get to the field, and not a place where you worry about the space for work, break down of old machines, chars and desk that are no longer in use talking a lot of space, and other issues arising from antiquated equipments. 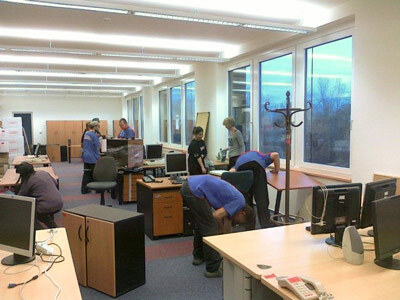 The main benefit of office furniture clearance services is that it gives the businesses enough time to focus on their work and not to worry about the how to maintain the equipment, furniture in the office or how to dispose of the old and useless ones. In most cases, the problems solved by the office clearance services do not only lie in the fact that they will help you remove the equipment from the office. No, many people can do the simple job of taking equipments away. But the trouble lies in doing this within the approved law and regulations. These services are offered by professional land local office clearance companies in London, Birmingham, Bristol, Glasgow, Derby, Office removals Chester and across the UK who are aware of what the law says. Another aspect of the benefits is that you are given practical solutions to your office clearance requirement, thereby saving all businesses and firms some massive time and huge amounts of money. There are some areas that are in need of special attention, and some hazardous substances that need special handling. These cannot be handled by laymen and ordinary office staff. The clearance service is delivered by most trained and qualified employees who are abreast with the latest health and safety guidelines on how to clear and dispose practically everything. Office clearance firms in Birmingham, Nottingham, Leicester, Coventry and London also undertake the sale of pre-loved, second use, pre-owned furniture and equipments. They undertake the office refurbishment, repair and polishing of these equipments, and offer same to people at very low costs. This is actually the best way of acquiring or buying new office furniture for start-ups and small firms. These have not lost anything from the original quality. They are only polished to remove the effects of environmental elements and will still serve the firms that buy it well. One great thing here is that they come to you at very low costs. Get cheap office furniture clearance London and all UK!